Every year thousands of Indians move to the USA for greener pastures. Amongst the topmost of all the US immigrants from India are engineers and software developers from TCS and Infosys, two of the biggest IT services providers. The numbers are so huge, that almost 50-70% of the work permits by the US embassy are given out to Indians. 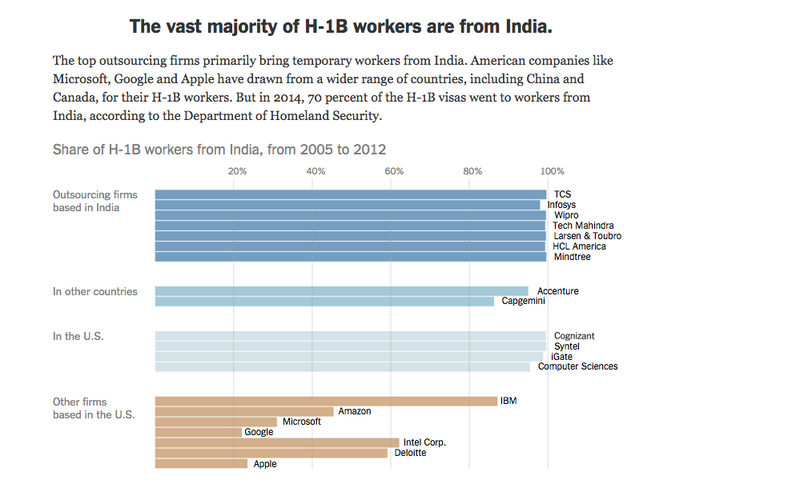 A NYT report has pegged that “1/3rd of the VISAs handed out by the US are given to outsourcing companies”, prominently Indian ones. However, in a major revision this year, the US embassy has doubled the fees of the H1B (work permit) and L1 (resident) VISAs from $2000 to $4000. Both Infosys and TCS send up to 50,000 employees to the US every year for on-site projects for US clients, revenue from which accounts for 50-60% for the companies. A $2000 increase each on the 50,000 employees will approximately set the company back by $20 million, a fairly sizeable amount, affecting profits from the US operations. While most domestic outsourcing companies with a large number of onsite employees will be affected, TCS and Infosys would be the worst hit. “We see an impact of 50-70 basis points as the charge is applied to extension of H-1B (awarded for 3 years with scope of 3 years extension), which was not the case earlier. Our sensitivity analysis indicates earnings impact of 2-4 per cent due to the new law,” NDTV Profit quoted IDFC analyst Shashi Bhusan as saying. However, experts also believe that while sending employees to the US is twice as expensive now, the incremental profits for the Indian companies and the cost-saving for the American MNCs are still worth the expense.